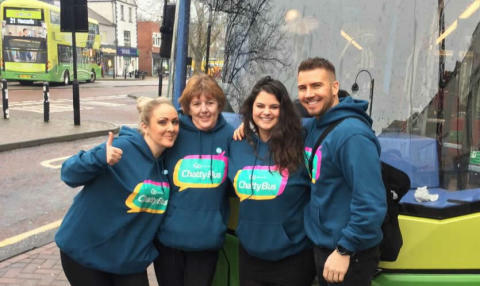 The Chatty Bus initiative is in response to the Government's loneliness strategy, with research undertaken by ComRes on behalf of Greener Journeys showing that three in 10 Britons go at least one-day-a-week without speaking to anyone close to them. Angel 21 between Durham and Newcastle, via Chester-le-Street, Birtley, Low Fell and Gateshead. Castles Express X21 between Bishop Auckland and Newcastle, via Spennymoor, Durham, Chester-le-Street and Gateshead. Service 309 between Blyth and Newcastle, via Whitley Bay and the Coast Road. 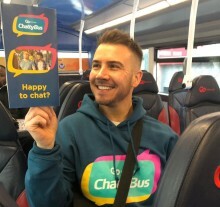 More information about the Chatty Bus initiative can be found by visiting gonortheast.co.uk/chatty-bus.